Dental LED Curing Light-LED Curing Light(GP014-07)-Dental unit Dental Equipment Foshan Golden Promise Import & Export Co., Ltd. This product is used in fast solidification by lighting dental resin. It is a new generation of standard developed LED curing light, with humanity intelligent chip, the world advanced high intensity LED light and Li-on rechargeable battery. 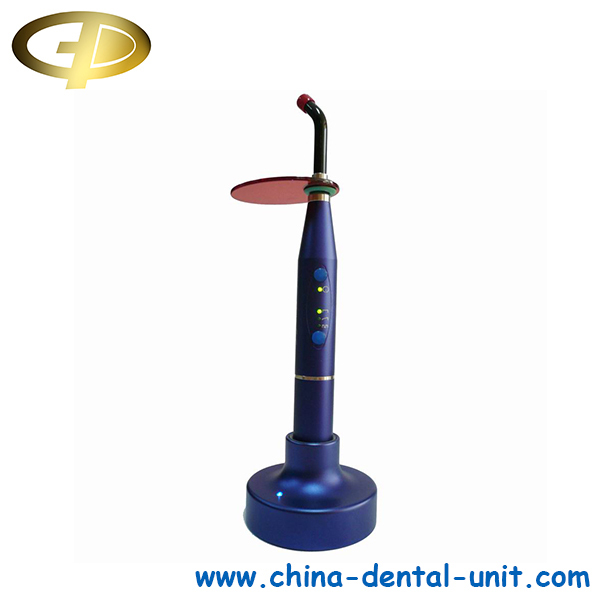 It can cure all the dental resin in the market nowadays, Its performance is further surpass the halogen curing light’s, which can solidify 4-5mm deepness in 20 seconds.